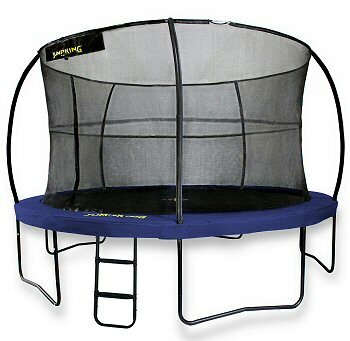 Top-end 12ft Trampoline with Integrated Safety Net Enclosure. Great Value for Money, Everything you need - all in one box! 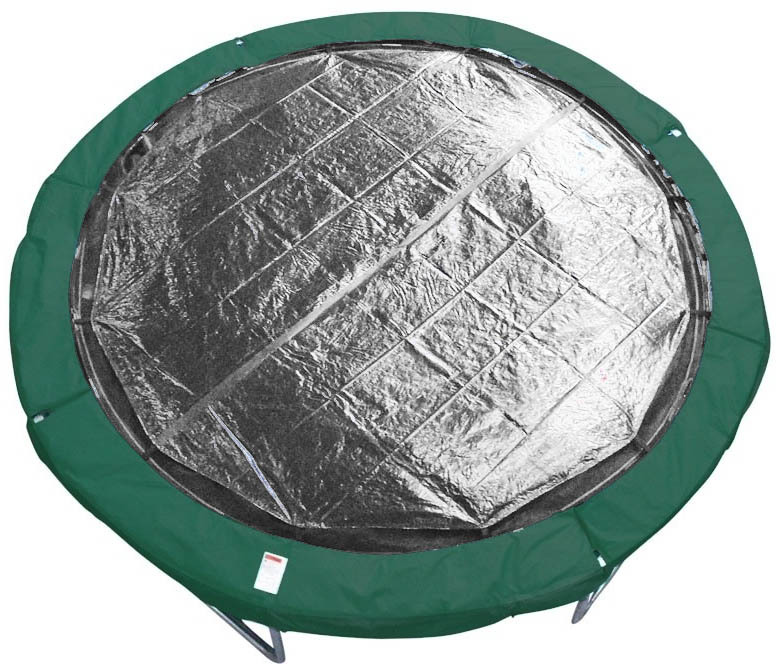 The Jump Pod 12 foot Deluxe is a complete trampoline set with 8.5-inch Springs. 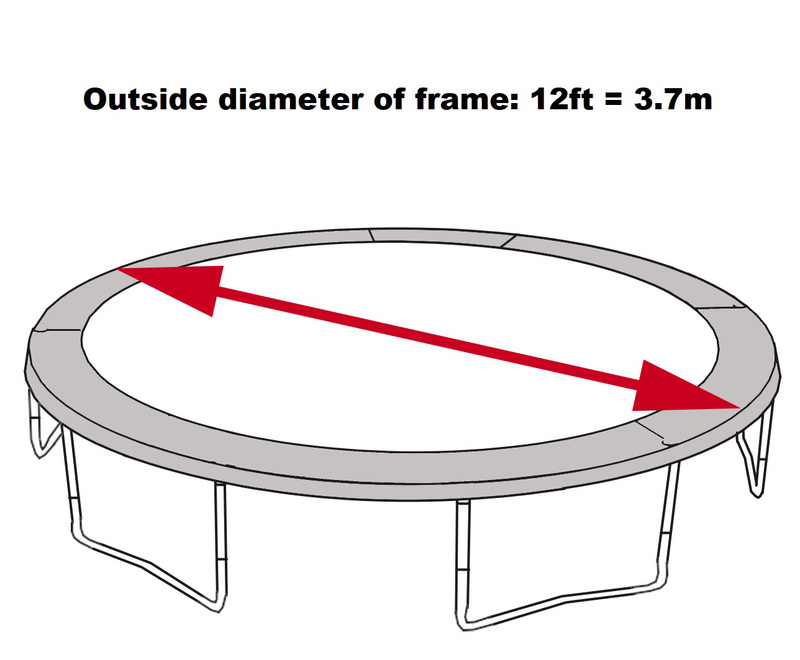 Unlike traditional outdoor trampolines, the new JumpPod comes with an integrated safety net enclosure, which saves on costs, looks better (no ugly fixing brackets), and cuts down assembly time (and of course dis-assembly time if you need to be able to take it down). This combination set comes in one simple box, providing you with everything you need to get the whole family up and bouncing. 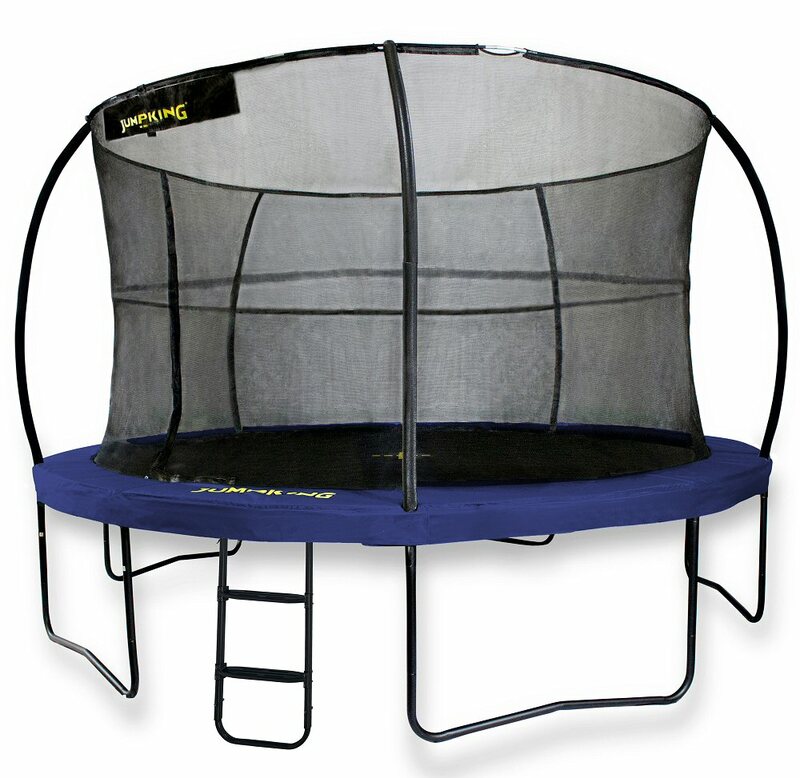 The Jump King JumpPod DELUXE range is durable, attractively designed, and the enclosure netting is fully-supported by horizontal shock-corded rods, creating a secure and impressive bounce arena. All in all, the JumpPod is an innovation in outdoor trampoline design - more customers these days are purchasing a safety net with their trampoline, and JumpKing have been the first to take the natural step of integrating the two. In our opinion, this product is ideal for those customers who are looking for a top-end trampoline and want a simply-good solution in one easy-to-manage box (includes trampoline, enclosure and ladder) at a very competitive price! See also: 12ft JumpPod Deluxe SPARE PARTS. Everything you need, all in one box! A brand new innovation - the 12-foot Jumpking JumpPod™ - a quality trampoline with a fully integrated safety enclosure at a very good price. Delivered in a single box, this new combination unit is durable, highly effective and very good looking. What’s more it is available at a very competitive price. The Jumpking JumpPod™ 12 Deluxe is set to revolutionise the trampoline market. Revolutionary design, trampoline and enclosure slot together as one unit - no need for brackets. Unique over and under Eurospring™ design gives optimum jumping performance. Usually sent to UK mainland addresses on a 1-2 day courrier service. Delivery overseas can take a few days longer. We generally dispatch sameday if you order before 12 noon. When you input your address details, you can also add special delivery instructions. In any case, we email you your tracking details, so you will know when delivery will be attempted.